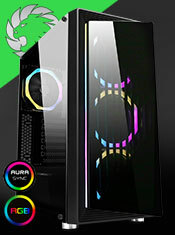 The Zinc is designed for users with demand for a Micro ATX tower chassis with clean interior and separate cooling zones. 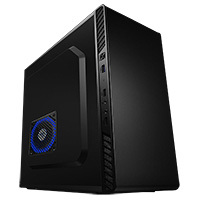 It comes with 1 x 120mm Blue LED Single-Ring fan at the side to give the case some colour, it also comes with side I/O Access with USB 3.0 x 1, USB 2.0 x 2 and Audio In/Out. Supports GPUs that are up to 320mm in length and CPU coolers that are up to 150mm tall. 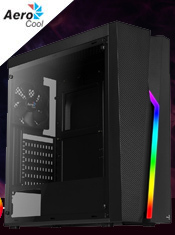 Case - The Zinc is a Micro ATX chassis that offers a lower cost solution. I/O Ports - One SuperSpeed USB 3.0 ports to allow the user to connect to most media storage devices. Fan - Pre-installed one 120mm Blue LED single-ring fan on the side. Internal - Super clean internal look with PSU and drive bay cover. Design - All black painted interior for stylish look.